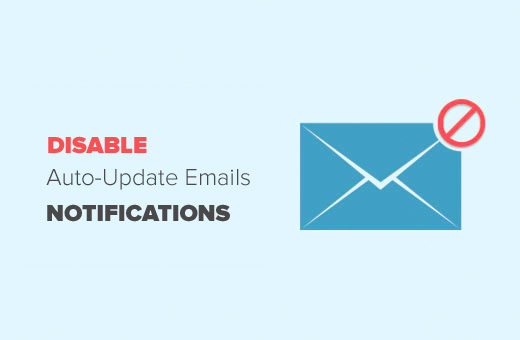 Do you want to disable automatic update email notification in WordPress? By default, WordPress sends an email notification to inform you that your WordPress site is updated after security updates. Recently one of our readers asked if there is an easy way to disable that. 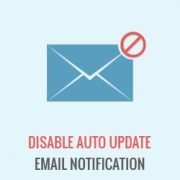 In this article, we will show you how to easily disable automatic update email notification in WordPress. WordPress is an open source software which is maintained by a community of developers. It is regularly updated to fix security issues, bugs, and to add new features. This is why you should always use the latest version of WordPress to make sure that your website is safe and up to date. WordPress automatically installs minor updates as soon as they are available. After the update, your WordPress site sends a notification to the WordPress admin email address. The purpose of this email notification is just to inform you that your WordPress site is updated. If you maintain multiple WordPress sites, then you will get an email from each website. This can be a bit annoying. Let’s see how to easily turn off the automatic update email notification in WordPress. This method is simpler and does not require you to add any code to your WordPress site. First thing you need to do is install and activate the Disable WordPress Core Update Email. For more details, see our step by step guide on how to install a WordPress plugin. Upon activation, it simply disables email notification sent after WordPress automatic update. This method requires you to add code to your WordPress files. If you haven’t done this before, then take a look at our beginner’s guide on pasting snippets from web into WordPress. This code simply adds a filter to disable email notification after automatic core update. By default, WordPress does not allow you to automatically install updates. Many site owners find it a bit annoying to update themes and plugins, especially if they maintain multiple WordPress sites. 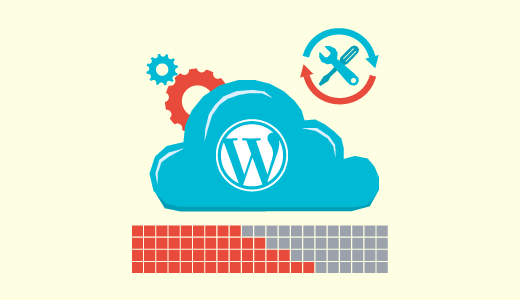 Luckily, there are plugins that allow you to more efficiently manage WordPress updates. For detailed instructions see our guide on how to better manage automatic WordPress updates. Similarly, WordPress by default has no unified interface to manage notification emails. It may not even send email notifications and you wouldn’t notice it. There are plugins that allow you to manage and control emails sent by WordPress. You can even customize default WordPress emails. For detailed instructions take a look at our guide on how to add better custom notifications in WordPress. That’s all, we hope this article helped you learn how to disable automatic update email notification in WordPress. You may also want to see our guide on 24 must have WordPress plugins for business websites.